Celebrations took place in Somaliland on 18 May 2016, in commemoration of its independence from Somalia in 1991. In addition to colourful displays of patriotism and joy, the government of Somaliland organised a conference which decried the international community’s lack of recognition of Somaliland’s independence. 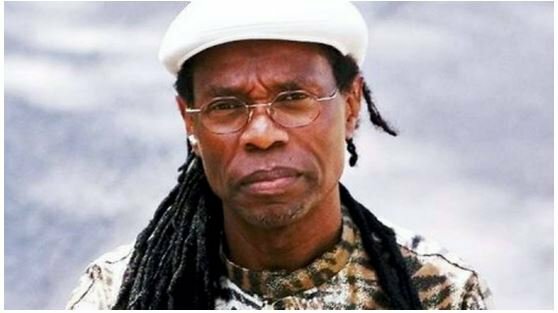 Koigi wa Wamwere, a Kenyan politician, human rights activist and journalist, wrote in response to the events, highlighting that it is now high time for Kenya to take the lead in the international community and to formally recognise Somaliland’s independence. On May 18, I was invited to Somaliland to participate in celebrations of her independence from Somalia on May 18, 1991, after entering into a legally non-binding union with Somalia in 1960. The celebration displayed incredible colour, joy, pomp and patriotism that totally lacks in Kenyan celebrations. On the eve of the great celebration, the government of Somaliland organised a conference, in which her leaders, intellectuals and well-wishers like Gerard Prunier, the author of The Rwanda Crisis, decried lack of recognition for her independence and sovereignty by the international community, 25 years since her second declaration of independence in 1991. After 5 days I left Hargeisa feeling that like South Sudan, Eritrea and members of former Soviet Union and Yugoslavia that are now independent, Somaliland is also entitled to independence and sovereignty despite her break up with Somalia. First, the international community is wrong to deny independence to Somaliland in defense of a union that broke up 25 years ago. Second, Somalia’s dead union with Somaliland can only be resurrected and consummated voluntarily never by military or diplomatic intervention. Third, when Senegal and Gambia formed the union of Senegambia in 182 and later split in 1989, the international community did not deny either Gambia or Senegal diplomatic recognition as it is now denying Somaliland. Fourth, though entered with the best of intentions, Somaliland’s union with Somali was without freedom, democracy and equity and was therefore self-negating. As for Kenya, there are many reasons why she should recognise Somaliland diplomatically. One because Somaliland and Somalia entered their union in pursuit of the dream of Greater Somali that is a great danger to the peace and territorial integrity of both Kenya and Ethiopia. Kenya should support independence of Somaliland as a strong statement against the danger of Greater Somalia. Two, while Somaliland has renounced Greater Somalia with the black star on its flag, Somalia still cherishes the dream of Greater Somali as symoblised by the white five-point star on her blue flag. Kenya would therefore be excused to believe that if Somalia succeeds in vanquishing the al-Shabaab, she could turn her attention to Kenya and Ethiopia, the only obstacles to the dream of Greater Somalia. Three, as Somaliland recently opened an office of representation in Nairobi, Kenya should reciprocate by opening her embassy in Hargeisa. Four, that there are more Kenyans working in Somaliland than people form any other African country means Kenya acknowledges the logic of recognizing and working with Somaliland. Five, a Kenyan proverb says “what is born cannot be unborn.” Having been born out of the union with Somalia in 1991, Somaliland cannot be unborn and forced back into the womb of Somalia, not at the age of 25 years. Six, Somaliland is a house that is in peace with itself and her neighbours. On the other hand, Somalia is a country that is in the fire of was. In the interest of humanity, the international community should continue to help Somalia end the war that has engulfed her before forcing her to embrace and set Somaliland on fire too. Seven, the union in whose name Somalia denies Somaliland independence and sovereignty is not legally binding since charters establishing that union were never signed by either country. Eight, unlike Somalia, Somaliland has managed to eradicate terrorism of al-Shabaab and unlike Southern Sudan, she has also managed to maintain internal cohesion and contain the ideology of clannism. Yet both Somalia and South Sudan are recognised. Nine, Kenya can recognise Somaliland, keep her diplomatic relations with Somalia and work together against al-Shabaab terrorism. Ten, burying the dream of Greater Somalia by recognizing Somaliland will kill the emergence of greater ethnic republics like the Greater Maasai nation or Greater Luo nation whose people span across East African countries. Eleven, denying Somaliland recognition is injustice that denies her people trade with other countries, inflates prices of daily necessities, denies Somaliland youth opportunities to study abroad and denies Somaliland economic support from donors and international organisations. Kenya should say no to this injustice by recognizing Somaliland.